« Can a higher stroke count be better? Several years ago, Tim Ferriss published a book called 4-Hour Work Week which became a NY Times #1 best-seller. This week he’s released 4-Hour Body. His previous book covered ‘lifestyle hacks’ – ways to minimize wasted time and effort to have more free time. His latest covers ‘body hacks’ – ways to improve health and fitness or learn skills almost overnight. I received my copy yesterday. I’d been waiting somewhat breathlessly because I knew a chapter would be devoted to his experiences with TI. I wasn’t disappointed. Here are excerpts from the TI chapter, on pps 434 to 443. “Swimming had always scared the hell out of me. Despite national titles in other spots, I could barely keep afloat for 30 seconds. This inability to swim well was one of my greatest insecurities and embarrassments. I’d tried to learn almost a dozen times and each time my heart jumped to 180+ beats per minutes after one or two pool lengths. It was indescribably exhausting and unpleasant. Tim’s first instinct was traditional — pulling and kicking, more and harder. “Then I met Chris Sacca of Google fame, now a triathlete in training, at a barbecue and told him of my plight. Before I had a chance to finish, he cut me off. “Chris introduced me to Total Immersion. I immediately ordered the book and freestyle DVD. “I never thought I’d say this but I love swimming. And how about Tim’s goal to swim a mile in the ocean? “One morning I woke up early and went to the ocean. I was calm despite the waves, and I stood on the damp sand at the edge of the whitewash looking out for a long time. Then I approached the lifeguard stand. ’How far away is that house.’ I asked the lifeguard, pointing down the beach at a red rooftop. With that I started walking, and 20 minutes later stopped in front of the red roof. I put on my goggles, took a few deep breaths and got in the water. I swam parallel to the beach about 100 feet offshore. Alternating right and left breaths, I entered a Zen-like state of almost supernatural confidence. I reached the lifeguard stand and continued another 200 yards, when I decided to get out of the water. There was no fatigue or concern. Walking up the sand I have never been prouder or felt more alive. One of my deepest-seated lifelong insecurities was gone and would never return. The elation was indescribable. TI training is the first instruction that’s made sense to me and is 100% responsible for the fastest transformation I’ve ever had in sports. Tim’s blog was what led me to TI. After reading the first TI book, the Swimming for TRiathlon book and whatching the open water DVD and spending a year becoming a disciple of the art of swimming. Without a coach of any kind TI allowed me to learn to swim at 42 after always being afreaid of drowning and not able to complete 3 strokes with my face in the water. Last August I competed in my first (open water) Tri and I did the 1/2 mile swim in 16 minutes and still had the breath to holler for joy as I raced out of the water. I now love swimming and look forward to getting in the water every chance I can get. 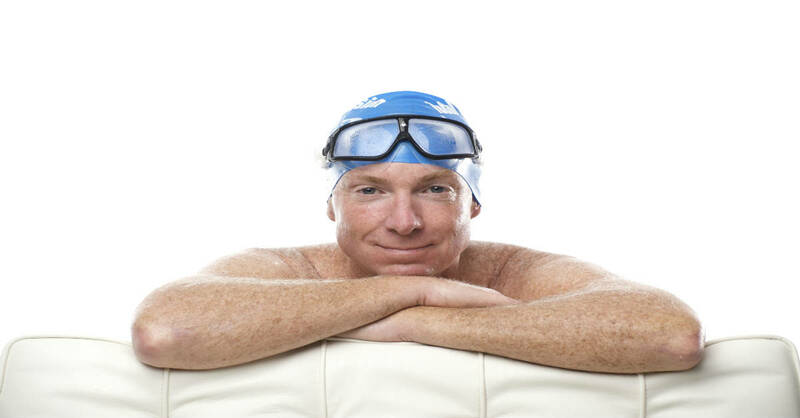 Total Immersion is a great program for anyone who wants to improve their swimming, learn the correct swimming strokes, or just be more comfortable in the water. We use many of the same concepts in our learn-to-swim program for children and have seen amazing success. Whatever your goals, if you purchase (and follow) the TI products you will not be disappointed! Kelly where do you teach children? I think these “miracle” type claims for TI are mis-leading and actually do the program a dis-service. Learning to swim properly is, for the vast majority of people, a hard process requiring lots of time and effort. These miracle claims unrealistically raise expectations for TI. Mike, what do you consider a miracle, as opposed to rapid, yet not unrealistic, progress? I’ve heard from others who progressed from one lap to a mile in a week. I don’t know what to believe. I’m another one of those who have taken swim lessons many different times (about 8 or 9) in my life. The last time I stuck with it for months. At best, I was lucky to make it the length of the pool. I worked on it. I watched efficient swimmers. I read stuff, including Swimming Made Easy. Despite many hours with many patient instructors, I just couldn’t hack it. So I gave up. I can’t swim. Not that it doesn’t still intrigue me — why else would I still sometimes read swimming blogs — but I can’t swim. So here’s another testimony and the thought that I can accomplish something in ten lessons. I don’t know what to believe. Your rate of progress will all depend on the order Skill Development your lessons, or self-study, pursues. We urge teachers and students to be especially patient about mastering balance. In some cases, the balance issues are profound. In others, they may be significant, yet able to be solved fairly quickly – often by hanging the head and cooperating with gravity. Someone who has never experienced balance and improves it significantly will often find they can swim a lot farther without fatigue very quickly. This is almost certainly the case when someone reports moving from being tired after one lap to being able to complete a mile in 5 to 10 cumulative hours of practice. Traditional instruction bypasses or ignores Balance and proceeds directly to Propulsion (how to kick and pull). When that happens, it can easily take months, years – and sometimes never – to be able to swim a mile. I started the TI system a few weeks ago and can say that it has helped my swimming abilities improve immensely. Yes, it’s true, but don’t expect to be perfect within twenty laps. I try to swim every other day, no matter what. This is the commitment I make to improve. My workout is about 1100 meters of freestyle/breaststroke work, but I always make sure to do at least two drills per workout. Continual improvement comes this way plus as you get better you start doing the drills better. Also it helps to have a friend, fellow swimmer, or bored, trained-swimmer lifeguard help you. Another set of eyes always helps. What I love most is the aspect of balance that Terry really spends time on. I started swimming with my dad, since he is trying to get a full recovery from leukemia 8 years ago and thought swimming might be the best way to get back into shape/health. Using the TI method, I instantly was able to help him. I taught him how to balance properly on his back, like Terry shows, to kick smoothly and to RELAX, never struggling. Personally, I have learned to minimize wasted movement, learn balance, and to NEVER struggle. When I feel struggle i stop, put my feet down (I swim in a four foot pool) and start over. I look at my swimming as a physical type of meditation and due to the TI method it is becoming that. Thanks Terry, nothing great ever comes easy, but your method is a pathway to swimming efficiently and for great enjoyment. I look forward to swimming now and make it part of my weekly fitness routine! Dino – By helping your Dad, you give a gift to both of you, as your understanding of the techniques always improves when you teach them to someone else. I am marathoner, would like to learn how to swim. Iam 55 yr male last month i took a lesson in swiming in the Philippines but still have problem doing free style. I having problem breathing on the side. What do you suggest for me. I still cannot reach the end of the swiming pool without stopping in the middle. Can you help me. I encourage you to post your query on the Total Immersion Discussion Forum. To Rafael Castanda, I am 56 and have practised TI for 9 years and would like to comment on your breathing struggles. You should audit your airway management. If you swim slowing and rotate to sweet spot you will have enough time to take a deep and satisfying breath. If you are out of balance at any stage, breathing will be inhibited because you will tense up. Some signs and symptoms of poor airway management: shortening the neck, water or saliva in the mouth (not swallowing), rushing you breathing because you are not confident, bending the head back to look forward (anxious to finish), impatience, twisting the neck ahead of the body rotation… of course there is a TI DVD on breathing (a small investment).